--- Please Select --- R5 (14-16-18-20-22) Out Of Stock D5 (4-6-8-10-12) Low stock, just 3 left! Simplicity 8578 18th c. Robe a la Francaise Sewing Pattern is a gorgeous, historically accurate paper sewing pattern ready to cut and use to make a glamorous mid- to late-Georgian era sacque gown. The beautiful "Watteau" pleats cascade down the back while the front of the costume is decorated in optional ruffles and bows. This pattern features a comperes (false) front stomacher, making dressing easy. The petticoat and gown skirt are shaped to fit over pocket hoops (Simplicity 8579). 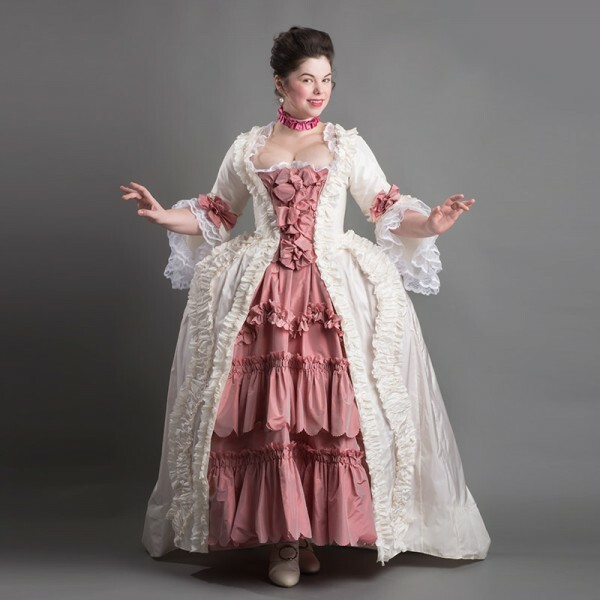 This gown is featured in The American Duchess Guide to 18th Century Dressmaking. Use the included Simplicity pattern instructions for machine sewing, or following the hand-sewing tutorials in the American Duchess Guide to create a historically accurate ensemble. 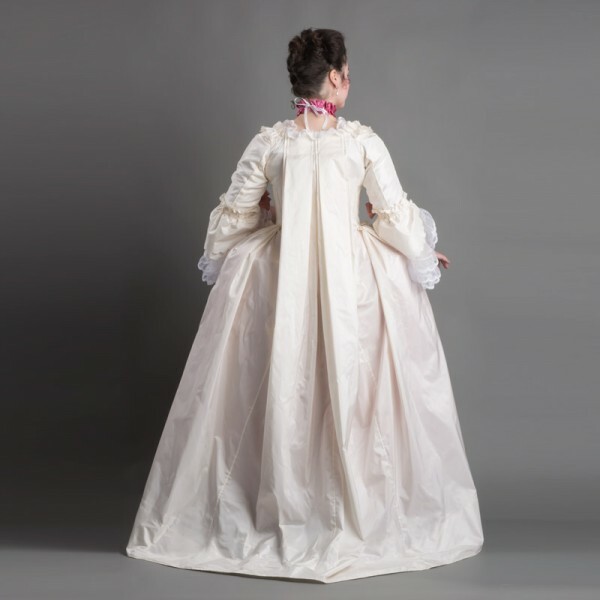 Gown - lightweight silk taffeta, dupioni, or satin. Lightweight printed cotton. 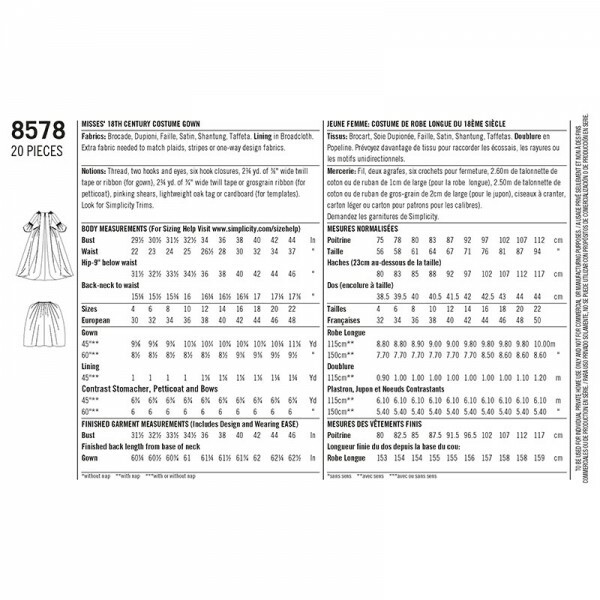 Simplicity 8578 must be worn with stays (corset) and pocket hoops. 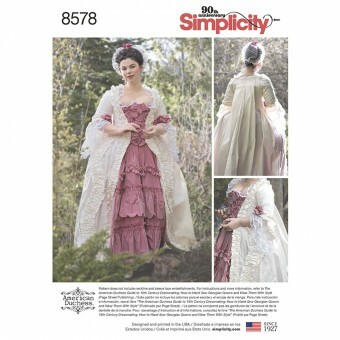 Please purchase Simplicity 8579 for period correct stays, pocket hoops, and shift.